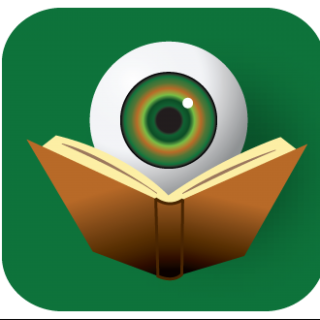 Yesterday, BOLOBooks featured a fascinating interview with Frankie Y. Bailey. In case you missed it, you can find that interview here. Today, I am pleased to present the BOLOBooks review of her newest novel, The Red Queen Dies. Other than its setting of Albany circa 2019, Frankie Y. Bailey’s The Red Queen Dies is a fairly traditional police procedural. Like most novels classified under this sub-genre, it features members of a police department investigating crimes while detailing the various methods that are used by law enforcement. Everything from evidence gathering, witness interrogation, and forensics is used to identify a motive and suspect. However, just the very act of setting the story in the near future lends a completely fresh feeling to the proceedings. The characters in Bailey’s The Red Queen Dies are living with the ramifications of our modern day lives. The effects of Global Warming, the depletion of the world’s resources, and government over-spending are now everyday constant companions of the citizens. Drug culture has continued to flourish and a new drug, called Lullaby, is running rampant through the city streets. But all is not doom and gloom. The world has become a place where diversity is often expected and celebrated. While there are still those that practice their hate-speech and discrimination, by necessity many of the citizens are embracing the differences in their fellow man. However, just as in our modern world, when these two mindsets clash, violence ensues. For Hannah McCabe and the Albany police department, that means there are still plenty of crimes to be investigated. Hannah is a biracial female detective, so she certainly knows of the discrimination that plagued earlier generations, but she believes in the law and will do anything she can to achieve justice for those that have been wronged. Hannah McCabe makes for a very compelling lead character, with enough foibles to be endearing, enough charisma to be engaging, and enough secrets to be intriguing. Hannah is a champion that readers can stand behind. When a legendary Broadway actress known as “The Red Queen” is found murdered, police begin to suspect that a serial killer may be at work – except that the current victim does not fit the profile of the previous two deaths. Meanwhile, there is another situation that is also generating some attention. It seems that an ex-baseball player was seen with an unidentified girl and since he was later assaulted and died, many questions remain unanswered. Frankie Y. Bailey has done some detailed world-building to construct her vision of the near future. Her inventions are fantastical, while seeming very realistic. The political platforms seem like logical extensions of the current partisan atmosphere. And the importance of race relations and diversity investment is enlightening, yet not idealistic. Albany, New York itself plays an important role in the novel. Bailey is able to incorporate various historical facts about the city into the story. Historical ties to Lincoln’s assassination as well as little known facts about Lewis Carroll, Alice in Wonderland, and The Wizard of Oz are wound together to create a complex backdrop for the current day crimes. 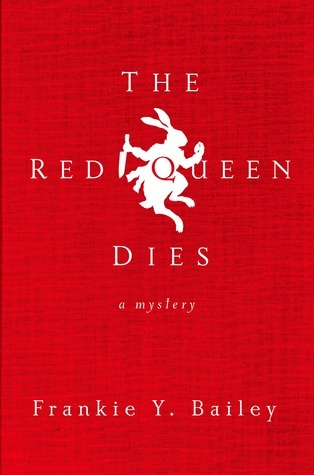 Since this is the first in a trilogy, The Red Queen Dies leaves many loose threads as the last page is turned. Readers will no doubt be waiting to see how Frankie Y. Bailey will weave them together in the second installment. Enjoyed the earlier interview and the review! Will have to check it out. Alas, that got me in trouble the last time. Lowcountry Boil took over for studying, rather than being a break, after a few chapters. oops. Glad that you enjoyed it though. Always nice to know that folks are enjoying the books I recommend.